While much has been written on the French and Indian War of 1754-1763, the colonial conflicts that preceded it have received comparatively little attention. Yet in King William's War, the first clash between England and France for control of North America, the patterns of conflict for the next seventy years were laid, as were the goals and objectives of both sides, as well as the realisation that the colonies of the two nations could not coexist. King William's War actually encompassed several proxy wars being fought by the English and the French through their native allies. The Beaver Wars was a long running feud between the Iroquois Confederacy, New France, and New France's native allies over control of the lucrative fur trade. Fuelled by English guns and money, the Iroquois attempted to divert the French fur trade towards their English trading partners in Albany, and in the process gain control over other Indian tribes. To the east the pro-French Wabanaki of Maine, Nova Scotia, and New Brunswick had earlier fought a war with New England, but English expansion and French urgings, aided by foolish moves and political blunders on the part of New England, erupted into a second Wabanaki War on the eve of King William's War. Thus, these two conflicts officially became one with the arrival of news of a declaration of war between France and England in 1689. 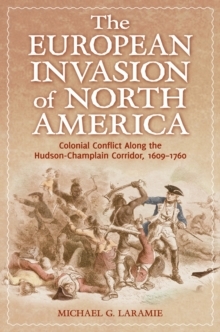 The next nine years saw coordinated attacks, including French assaults on Schenectady, New York, and Massachusetts, and English attacks around Montreal and on Nova Scotia. The war ended diplomatically, but started again five years later in Queen Anne's War. 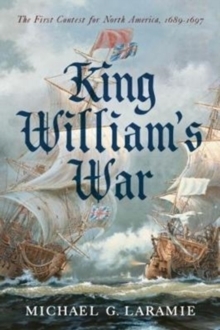 A riveting history full of memorable characters and events, and supported by extensive primary source material, King William's War: The First Contest fro North America, 1689-1697 by Michael G.
Laramie is the first book-length treatment of arguably the most important war to the future of North America.